The event will begin with the National Anthem, followed by wreath laying by community members and pupils from schools to show their support for linguistic, cultural diversity and multilingualism. There will be performances by schools such as songs and poems. International Mother Language Day originated in Bangladesh in 1952 and was officially launched in 1999 by UNESCO. (United Nations, Educational, Scientific and Cultural Organisation). This day has been commemorated annually ever since on, 21st February, and aims to encourage linguistic diversity and fuller awareness of cultural traditions throughout over 215 countries around the world. In Cardiff for the last 10 years it has been celebrated with the local community and schools. 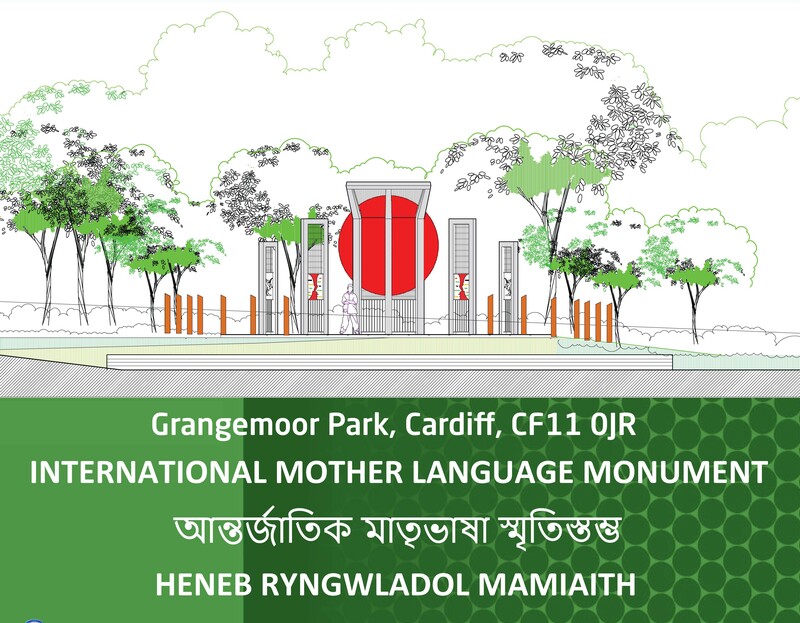 The land is provided by Cardiff Council and the monument will incorporate artwork that depicts language in all its forms, referencing languages from all continents, and particularly those associated with Cardiff and its historic ethnic communities. The monument has been designed to be a sustainable and ecologically sensitive addition to the park as well as being virtually maintenance free and creates a new public space to enhance the existing picnic and pond areas.